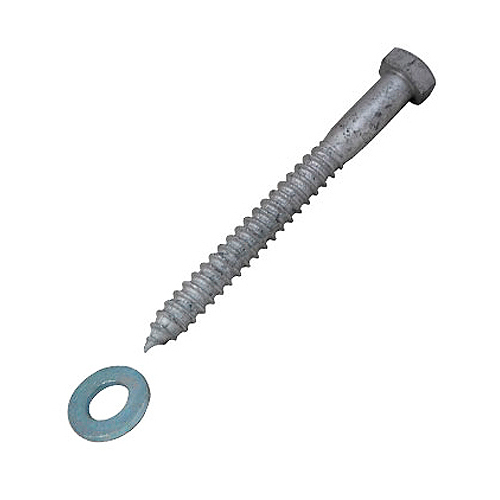 This 5" x 3/8" lag bolt & washer combo has superior strength and holding power. You can use these lag bolts to attach Flex Fence® end plates, end tighteners, end buckles, 45° end buckles, and t-buckles to your corner/end posts. Width (across the flats): 3/4"
Installation: Drill a 3/8" pilot hole and then screw in with a 3/4" socket on a 1/2" drive ratchet handle. *Note: Socket and ratchet handle must be purchased separately. They do not come with the lag bolt.